One of the most confusing things about the range of breathalyzers out there is they all seem to read in different units – fine if you work in the industry but perhaps a little confusing otherwise. We have a Driver Info page on our website to help you try and decipher the various readings, and most importantly what the UK limit would be displayed as. Once you know what measurement it is that your device reads in, then common sense will hopefully prevail in deciding whether or not you are ok to drive. We also enclose our own Manuals with most of the devices we sell which spell out in plain English what you have bought, how to use it, what your unit reads in, and what the UK Drink Drive limit would be displayed as. Hopefully this helps. Certainly they make more sense than some of the manuals provided by the manufacturers (given the mainly Chinese origins of most them!). mg/100ml (also known as Promile or ‰BAC) – popularly used by the Police in the USA, current UK drink drive limit would be displayed as 0.80 or 080. Currently found on the AlcoHawk Pro and AlcoSense Elite amongst others. mg/L – pretty rare although more commonly found on the cheaper Korean devices, the UK limit would be displayed as 0.40. Microgrammes per 100ml (µg/100ml) – reading most commonly used by the UK Police force and found on our Home Office Approved devices by Draeger such as the 6810. Current UK Limit would be displayed as 35. Oh and as an aside, the UK Limit is not a target. You WILL lose your licence if you’re caught over it. Hopefully that would be the ONLY thing you’d lose. Best not take the risk though, eh? Legal Fees – to fight a drink-drive conviction, or even to just try and reduce the outcome of an admitted offence, you’ll need a lawyer. Legal Aid won’t come to your help here. That’s going to hurt the wallet. First Offence you’re probably looking at a couple of grand, 2nd offence or further – sky’s the limit. Insurance. It’s a no-brainer – you have now officially entered the High Risk Category. And if it’s a teen that’s been caught, the Insurers could withdaw the entire household vehicle cover unless a legal guarantee is made that the offender will not drive ANY of the household vehicles. In any case, your premiums will at least triple. Ouch. Future banking. Do not be under any illusion, a drink-drive conviction is a Criminal Offence. Those forms you complete for student loans, new bank accounts, hey even job applications? They all want to know about Criminal Offences. And this one counts. Suddenly that £100 breathalyzer doesn’t seem as expensive as originally thought, eh? And by the way – the reading you get after 15 minutes? Don’t forget it can go up as well as down. Depending on the drink of choice and your metabolism, chances are your alcohol reading will continue to rise for at least an hour after your last drink. Give your liver a chance to process it too! So just how accurate are personal breathalyzers? In an industry dominated by the stamp ‘Made in Korea’ the accuracy of the devices out there can vary dramatically. There are some wildly unrealistic claims made of units retailing at about £60 being ‘as accurate as those used by law enforcement’ (although such claims are never supported). 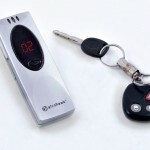 It would be hoped that common sense of the purchaser prevails and the expectation of a cheap key-ring matching the accuracy of, say, the Home Office Approved devices (that start at £649 plus VAT) being highly unrealistic, but unfortunately the majority of purchasers will over-estimate the accuracy they expect to receive from their breathalyzer of choice. All breathalyzers come with a quoted manufacturer’s accuracy. Generally this is defined as being the percentage of variation that can be expected when tested at the Calibration point of the device. Most are calibrated at the equivalent of the UK Drink Drive limit (although some have lower or higher ‘set’ points) and as a rule, the price of the device will give some indication of the quoted accuracy. Something to bear in mind is that the ‘quoted accuracy’ is taken from the results of procedures performed under laboratory conditions with certified calibration equipment, an environment which is virtually impossible for the average personal user to re-create. For the devices retailing under the £25 mark, you get pretty much what you would expect – a cheap plastic throwaway device, that will if you are lucky give you some indication of the presence of alcohol. Just don’t expect an actual reading. There is a reason why these devices are given away as freebies at corporate events (or with the purchase of a more expensive device), and that’s because they’re cheap. Chances are, if you have been drinking and believe you need to test yourself to establish whether or not to drive, these devices will NOT be of assistance. 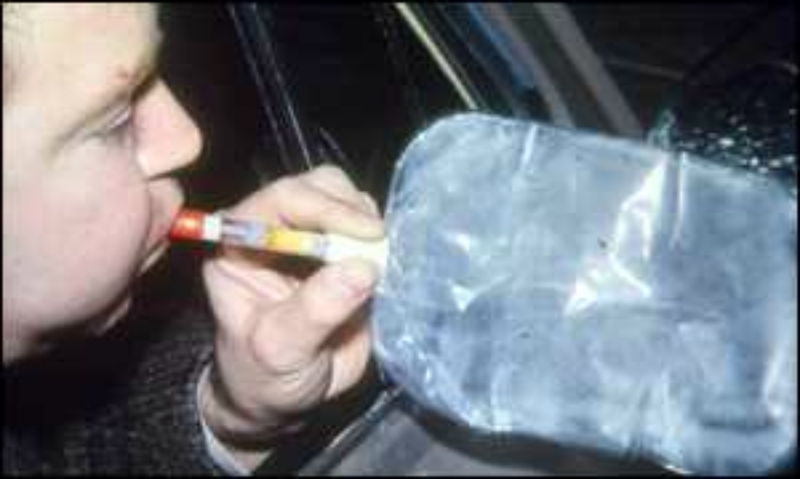 Breathalysers in the £40-£80 range generally will have an accuracy variation of about a quarter of the drink drive limit – something to bear in mind, a reading of 0.08%BAC (the UK drink drive level) could ACTUALLY be 0.06 or 0.10 – and thats when the unit is tested ‘under laboratory conditions’. The fuel cell devices (which start at about £150) will tend to have a much higher level of accuracy, although again quoted accuracy and actual accuracy do not always seem to match. From £300 you are venturing into the more professional side of the industry, and generally these do actually live up to their claims although in our personal experience nothing can beat the accuracy of the Home Office Approved Draeger devices (7 years of sales with less than 0.01% fault rate – if only cars were so reliable!). If in doubt about the accuracy, ask. We can give you the quoted best efforts, but also tell you how that measures up in reality. We have hundreds of units in for calibration every month, and there are certain devices which come back time and again for not living up to the manufacturers’ claims. Ask us, and we’ll tell you which! The driver of the M1 crash had apparently come home from holiday and spent the whole night up drinking alone, before going to work to do the Birmingham-Stanstead Airport route. He mistook a sliproad to a service station as a junction, and came off the road at 57mph hitting a tree and a lamp post. When tested he gave a reading of 145 milligrammes per 100ml of blood – with the legal limit being 80. Incredibly, everyone survived – just. 33 injuries, 7 severe, 1 amputation. He has been jailed for 10 months, given a 4 year ban for drink-driving, a 2 year disqualification for dangerous driving and a fine of £500. Not to mention losing his career and the respect of his friends and family. Hopefully this should start to become a rarity as more and more companies realise the importance of installing a device that will prevent the vehicle from even starting without a clear breath sample being produced. Whilst its admirable that National Express have taken this route, we need the rest to follow – why should ANY passenger be at risk? The Interlock is most commonly used for companies such as National Express, but we have had a few personal users have them installed as a means of ensuring their car cannot be driven by anyone over the (preset) limit. 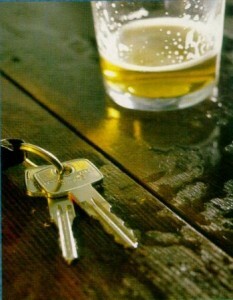 Examples would include the family car used by teenagers (giving the parents the comfort of knowing it CANNOT start if the driver has drunk anything), the concerned family of an elderly driver who seemed in denial about the amount consumed at various social events, and even those who have had a drink-drive conviction in the past and never wish to repeat the experience. 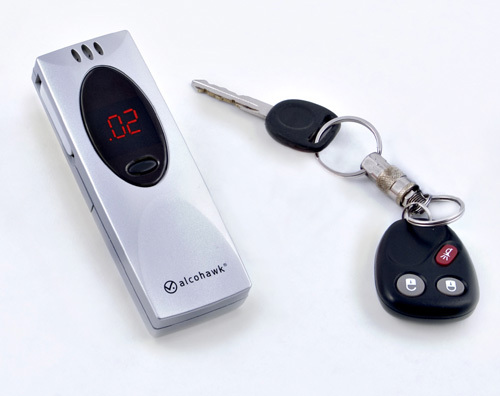 Have a look at the Interlock on our website here – it could save a life. There are some pretty exotic old wives tales out there concerning ‘beating the breathalyzer’ – ways of ‘apparently’ conning the unit into believing you have drunk less than it thinks! Quite WHY you would want to do this I have yet to understand, luckily however we have a bunch of scientists out there willing to risk life and limb to explain. Enjoy! Some things to bear in mind when using your breathalyzer. How little it is used – in much the same manner as a classic car, a breathalyzer that has been sat doing nothing in a drawer for months is NOT going to function as well as one that is used on say, a weekly basis. The sensors themselves are prone to ‘drying out’ which can be the cause of unreliable results. You wouldn’t leave your classic car in a garage for a year, and expect it to run perfectly for its MOT. Same goes for a semi-conductor. …but also how OFTEN it is used – likewise, if you have the social life of a student and need to used it EVERY night (with high readings!) chances are, after about 3 months it will certainly need checking and probably re-calibrating. Your health – do you smoke? Leave at least 15 minutes after your last cigarette before testing. Are you diabetic? You could be producing ketones if its a while since your last meal. It’s unlikely that your semi-conductor device is accurate enough to determine the difference between alcohol imbibed, and alcohol produced and although generally the amounts produced are minimal, added to existing ‘real’ alcohol you would probably need a blood test to determine the levels. Best leave it till you know you’ve not had anything to drink for 24hrs. That old favourite, the mouthwash – with alcohol included in the ingredients, common sense would hopefully dictate that a test within 15 minutes of using mouthwash is highly likely to give a false positive result. Not normally something to worry about at the end of the evening, but certainly something to bear in mind ‘morning after the night before’. With regular use, you will quickly become aware of what your levels are after what amounts, and more importantly, how long it takes you for you to get back down to zero. If you start to notice erroneous readings occurring which make no sense, in all likelihood it’s time to get it checked and calibrated. We can calibrate most of devices out there – contact us via the website and we’ll do our best! So where did it all start?? With the wonderfully named ‘Drunkometer’ designed by Dr Rolla Neil Harga of Indiana University who invented the first successful device for testing human blood alcohol content in 1931. Described as being more a miniature laboratory, the Drunkometer consisted of a breath-test balloon inside a machine which collected the sample, and then forced the collected air through potassium permanganate crystals. The more alcohol in the breath, the more acetic acid produced, the bigger the colour change of the crystals. Much like the AlcoChecks we sell today (which were in use by the Police until digital breathalyzers took over) albeit on a less than pocket-sized basis! 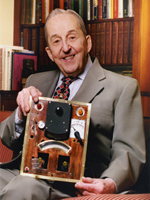 Then in 1954, Robert Borkenstein designed the first hand-held Breathalyzer capable of accurately measuring the blood-alcohol content of a sample. Whereas the Drunkometer required calibration each time it was moved, the newly-designed Breathalyzer used chemical oxidation and photometry to discern the results, and was truly portable and therefore perfect for roadside use by Police and Law Enforcement. The highest ever UK drink drive reading was reported today in the Daily Mail (Behind the wheel… after 15 pints of lager: Christmas police trap Britain’s worst-ever drink-driver). Marcin Ziebacz was pulled over after Police noticed him swerving dangerously whilst trying to drive the 4 miles back to his home in Coventry. His initial breath test produced a staggering 191 microgrammes per 100ml of breath – some 5.46 times the UK drink drive limit – with a second test giving a reading of 187. Quite how he managed to stand up to do the tests is something to wonder at. He has pleaded guilty and is awaiting sentencing; his licence has been confiscated and he is banned from driving. 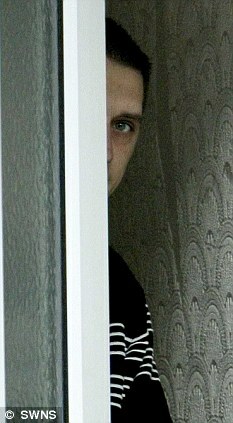 With the prospect of upto 6 months in jail and a £5000 fine, that was one very expensive Christmas party mistake to make. Maybe he really didn’t realise how drunk he was. Or maybe he had hit the point where no matter what, he had decided it was time to get home. Whichever. A breathalyzer MAY have brought it home to him what could have happened, but more likely it would have notified OTHERS as to what state he was in. That no-one was killed was a blessing. …although in reality we would hope that the level of driving care and attention continues throughout the rest of the year as well! With devices ranging from £20 – £2000 make sure you don’t get behind the wheel when you shouldn’t. See our website www.alcodigital.co.uk for full details. 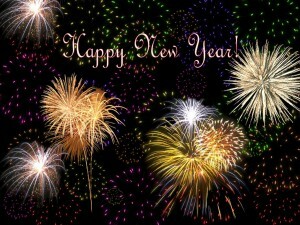 From all at AlcoDigital – have a safe, healthy and happy 2010.